Huh? No orange or brown? Well maybe just a hint of it. I needed a "green" break between Halloween and Thanksgiving. My sister has an embroidery machine and gifted me with gorgeous green napkins. 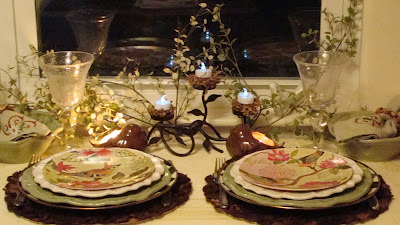 Thank you for stopping by for Tablescape Thursday. For more tablescape fun, visit Susan at Tablescape Thursday. VERY pretty, Debbie! Not flighty at all! A super table. 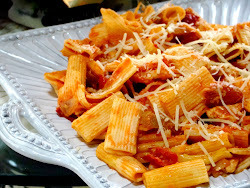 I love your dishes, perfect for any time of the year. Your napkins are great! Love all the green with the black and white. The napkins are beautiful, it just amazes me that a sewing machine can do all those intricate designs while you just stand there watching. LOVE those plates! The colors are so vibrant. Very pretty table. I love how you stacked the different patterns to make such a pretty placesetting. 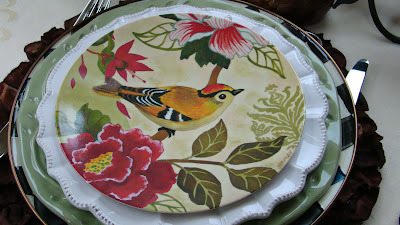 The bird plates are very pretty (I covet) but overall the whole tablesetting is gorgeous! Ohhh what a beautiful table! And you're right...the green is so refreshing to see after all the halloween, etc.! 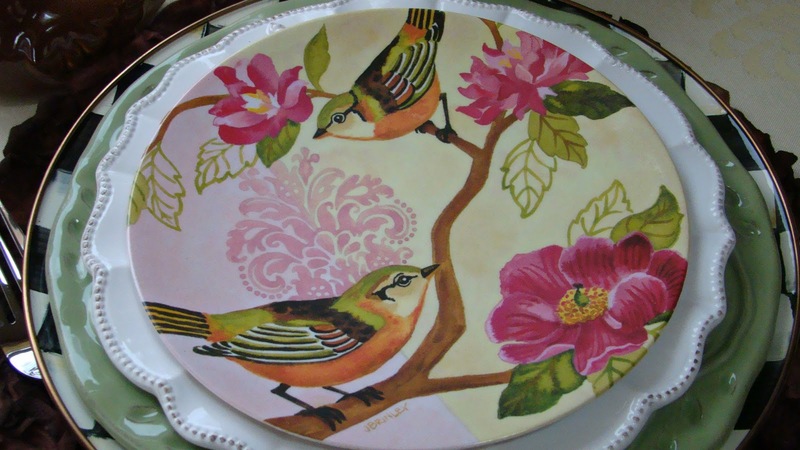 Ohh...I just adore those pretty salad plates with the sweet birds. I have never seen that pattern before! Thanks for telling us the manufacturer...I will be checking them out! They certainly make for a very beautiful place setting! Loved seeing all those fabulous layer of dishes! Loved your pretty centerpiece as well! Thank you so much for sharing your pretty table with us today! This table is so crisp and fresh yet SO fall! Really beautiful!!! So glad I found your blog! I do love a table with green. It is just lovely. Your bird plates are so pretty. I love your checked chargers too. How wonderful to have a sister who makes such beautiful napkins. 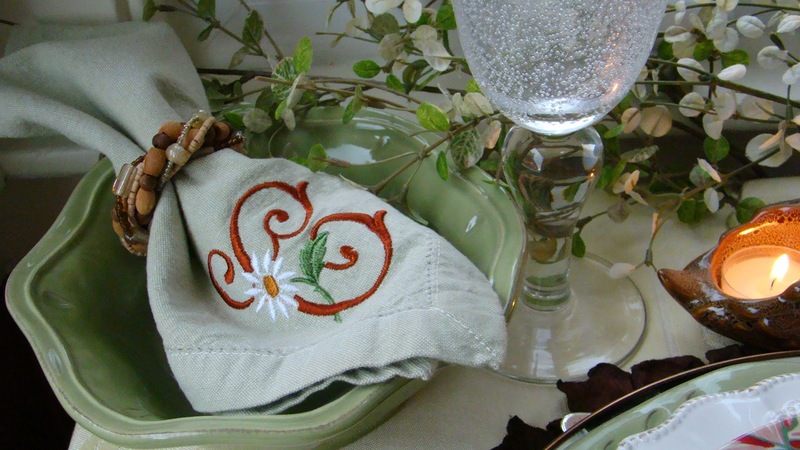 Oh, my, those embroidered napkins made my heart beat faster! How blessed you are to have such a talented and generous sister! 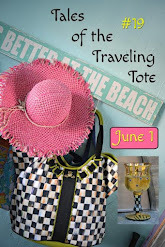 I agree about needing a break from orange and brown! 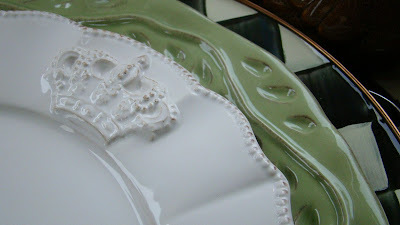 I am jumping up and down over those bird plates AND the white ones with the crowns!!! Wow!!!!!! Beautiful table with so much color. 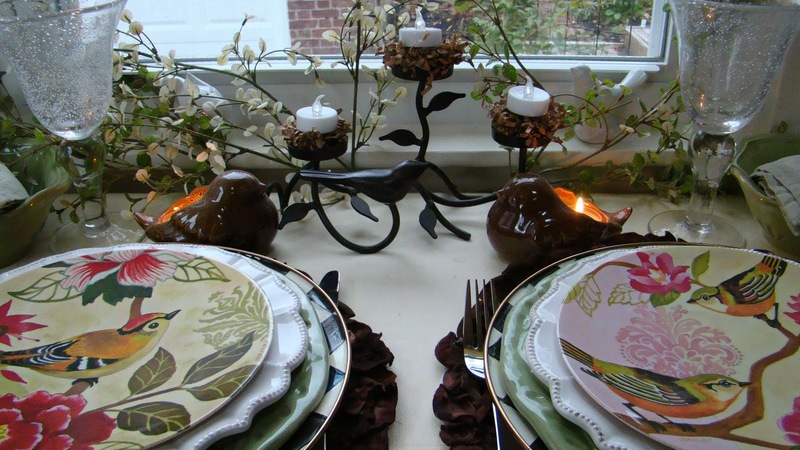 I love the stack of patterned plates with the birds on top. 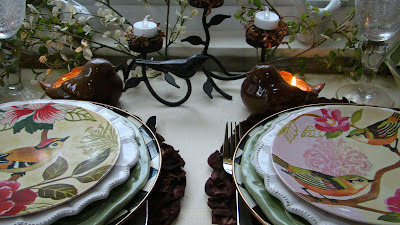 Beautiful table, Debbie, I love the colors! Oh my goodness that looks so pretty. I love the combination of the plates. I wish I had a sister with an embroidery machine! Lovely napkins and they work perfectly here. 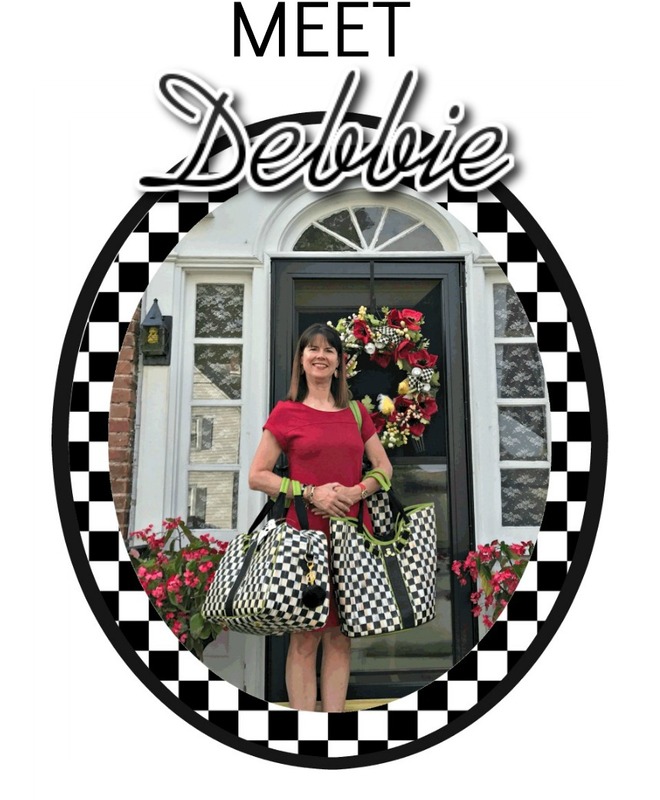 Debbie, I covet it all, including the embroidery machine. This is a beautiful table. I love your layers in the place setting. i love all of your dishes. It is very chic. thanks for stopping by.